Feeling rested, restored is one of the many reasons why you should travel more. Some people are born with wanderlust and spend their lives seeking new experiences. Others plan yearly vacations, enjoy weekend day trips or tack a few extra days onto a business trip to explore their destination. 1. You feel more rested and restored. Getting away from everyday stress helps restore both body and mind, and having new experiences takes your mind away from the day-to-day problems and allows it to concentrate on taking in new sights, smells, tastes, and sounds. After a couple of days, you can actually feel that your body starts to relax. 2. You get to play. We have far too little play in our lives, so travel lets us channel our inner child and see the world with fresh eyes. Do something you have not done since childhood, like ride a carousel or swim in the cool blue ocean. You will find yourself smiling as the stress melts away. 3. You get a break from work. Some of your best ideas come to you when you are doing something other than working. Try to forget about work when you travel and immerse yourself in the new experiences all around you. Be sure to unplug: check emails once in the morning, or only as necessary, and assign someone else to take on the responsibilities while you are gone. 4. You create quality time with loved ones. With the hustle and bustle of everyday life, we often forget to make time for quality interactions with friends and family. Traveling together allows you to share and enjoy experiences together, plus it creates precious memories that will be recalled over and over again throughout the years to come. Be sure to take pictures for visual touchstones of special times. 5. You find yourself again. When you are out in the world, you see things in a new light, and with the stimulation of new surroundings, you can often have flashes of inspiration or insights into your own soul. You might be inspired to renew your interest in painting after visiting a gallery or sitting by a mountain lake, or you might remember a long-forgotten goal that suddenly becomes a new focus. 6. You learn new skills. 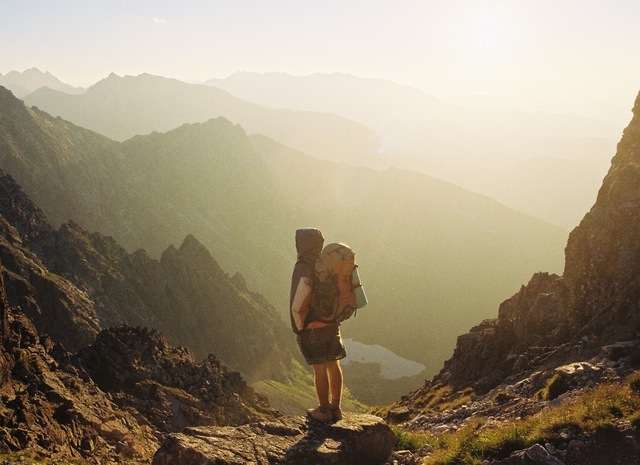 Travel itself creates new challenges and enables you to expand your skill set. In addition, trying new things such as Italian cooking school, water skiing or ziplining stretches your physical or mental aptitude and gives you both enjoyment and confidence at the same time. 7. You see the world through fresh eyes. Getting out into the world lets you see ways of life that may be different from your own. When you immerse yourself in the local culture and see how others live, it puts your life into perspective. Somehow, your problems do not seem so overwhelming any more. 8. You have more time to think. Plan time to “do nothing” when you travel. Sit on a mountaintop, go fishing, bask in the sunshine or take a long nap. Let your mind wander as you reflect, meditate or dream. You will find yourself generating new ideas from your random thoughts. 9. You reconnect with nature. If you are like many, you spend too much time indoors. Travel forces you to get outside again, breathe in fresh air and enjoy nature’s restorative and calming qualities. Your trip does not have to be a big one. Even spending an afternoon at the beach or exploring a new town will allow you to experience some, if not all of the benefits of travel. For maximum impact, however, plan time to travel. Imagine where you would like to go and make it happen. You will be surprised how happy it can make you feel.